With the start of every year, our tensions skyrocket. We tend to think about what we can change this year and where we must indulge and splurge, and amidst all of that, we forget to take care of ourselves. The Yearly Horoscope Prediction Report focusses on providing you with detailed information regarding your year month- wise, starting from your birthday for two years! You can know about each and every major event that will happen in your life and at what precise time through the accurate predictions of the Yearly Horoscope Report for two years! The Basic version of the Yearly Horoscope Report contains Yearly Horoscope Predictions for two years starting from your birthdate of the current month. The detailed horoscope contains monthly predictions for the entire year to help you make the best out of the year and plan it in accordance to the planetary positions and their area of influence. The Premium report of the Yearly Horoscope 2019 features two additional factors. 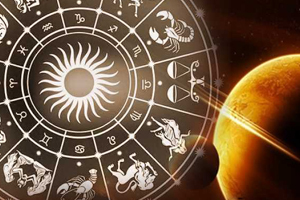 The report comes armed with not just one, but two detailed predictions- Monthly Horoscope Predictions 2019 and Yearly Horoscope Predictions 2019. But it doesn’t stop there- you will also get Numerology Predictions for two years to complete your set and get you all sorted for the coming years. And a personalised answer to your question.